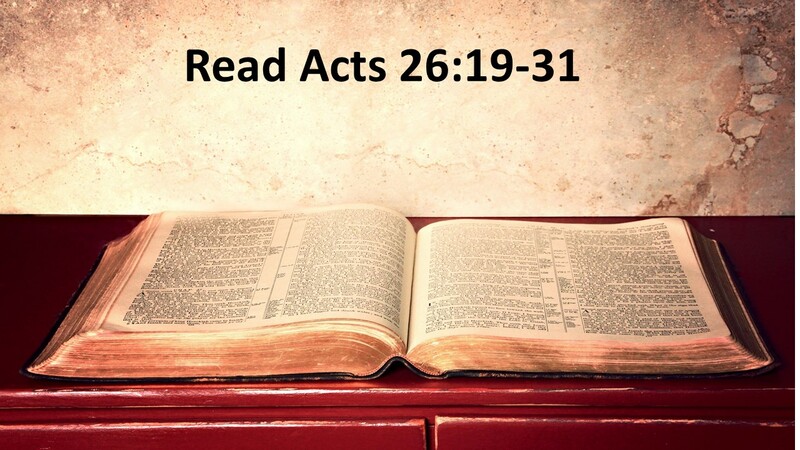 One of my goals over the past three years have been to preach through the book of Acts. Part of the reason is my belief the church in the first century isn’t that different than the church of the 21st century. We’re both living in an era where the world is somewhat indifferent to the church. Sadly, there are those willing to use the church as a political pawn, but the message of Jesus, the grace, love and forgiveness of God the Father, is easily sidelined when the church serves such purposes. 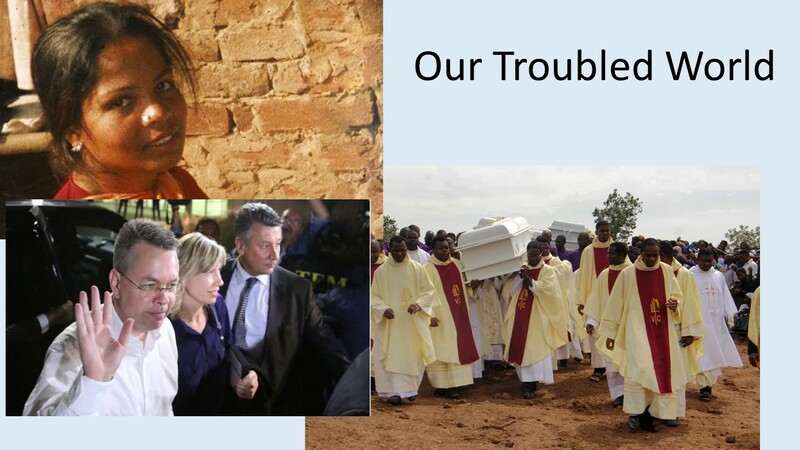 The great question to the church today is how we are to live our faith in an indifferent world. That was also the question of the church in Paul’s day. We know this book as “Acts of the Apostles,” but as I have often suggested, it really should be called “The Acts of God through the Apostles.” For each of the miraculous deeds, while done through the Apostles, happen because of God’s power and presence as the early church grows throughout the Roman Empire. This is counter-intuitive, but Paul and the early Christians understood it. The church is always its strongest when the world is against it and the only thing the church can do is depend on Jesus Christ. As Paul reminds the Corinthians, “The weakness of God is stronger than human strength.” With apologies to Allstate, when we trust ourselves to God’s hands, we are in good hands. Now let’s catch up with our story from Acts. After the end of Paul’s third missionary journey, he returned to Jerusalem, where he found himself attacked by the Jewish leaders. Roman soldier’s saved his life and he’s whisked off to Caesarea, where Paul spends two years waiting in jail. As we’ve seen, God’s hand is still there with Paul, working out the Kingdom’s larger purposes, despite the Apostle’s imprisonment. The Romans, as I’ve pointed out over and over again, didn’t know what to do with Paul. They don’t think he’s guilty of anything. And Paul, being a Roman citizen creates a problem for them. If they punished an innocent Roman citizen, they’ll be in trouble. But if they let Paul go, they’re going to make the Jewish leaders mad. Looking back on this event from the present, we can see we are just a few years before the Jewish revolt. Things are unsettled in that part of the world. The Roman leaders are doing all they can to maintain the peace. Paul has been locked up unjustly. 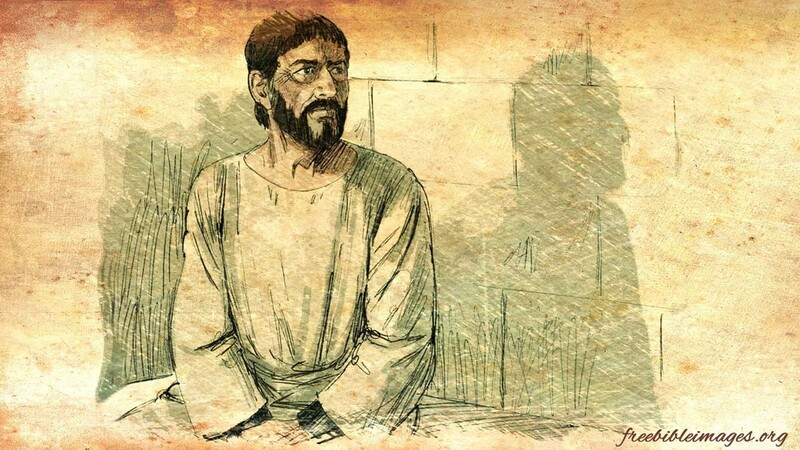 The Romans can’t find anything that he’s done to deserve such treatment, yet they don’t want to upset the Jewish leadership, so Paul remains a prisoner. Now he has a chance to speak before a king. If you were in this situation, what would you do? I’m sure most of us would complain by how we’ve been treated unfairly. We might say nasty things about our accusers, or go on and on about who’s out to get us. We’d grumble about the prison food. We’d whine about the rusty shackles. We’d let ‘em have it. But that’s not what Paul does. Paul is brought before a king and he is respectful and courteous. And instead of focusing on himself, Paul proclaims the truth he has come to know in Jesus Christ. Paul doesn’t give a defense; he proclaims Jesus Christ. It has been said that the only real defense the church has against allegations by those on the outside is proclamation. 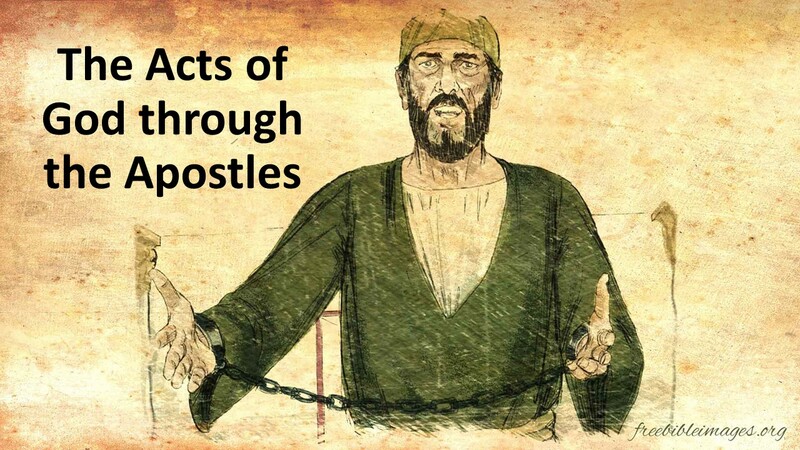 Paul might have found relief by focusing on his mistreatment, but would he have been faithful? When our backs are up against the wall, are we willing to proclaim Jesus Christ as the risen Lord? 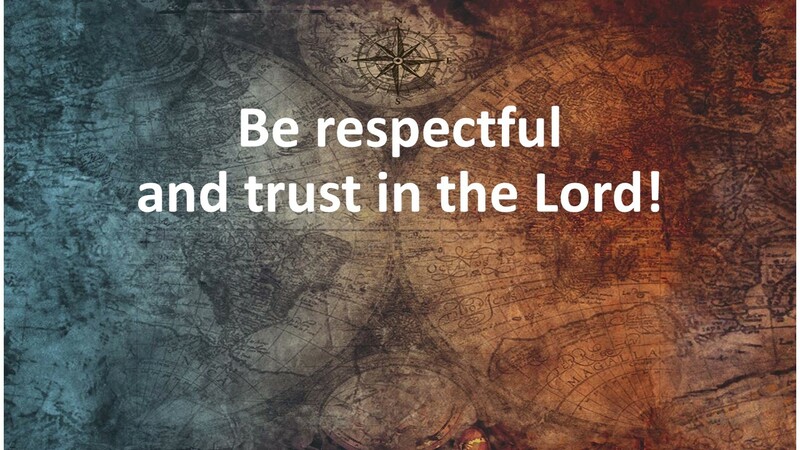 When we are challenged and treated unjustly, do we act like we trust in Jesus? 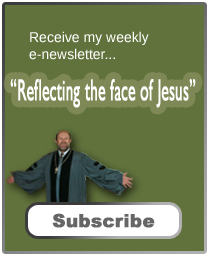 Does our response demonstrate that Jesus is the only thing that matters? In his first letter, Peter encourages his readers to consider themselves blessed if they suffer for doing what is right. He goes on to say that they should be ready to proclaim, in gentleness and reverence, the hope they have in Jesus Christ. Contrary to what some people seem to think, righteousness indignation is not a Christian virtue! Arguing and blaming others doesn’t further the faith. Humility and respect is what’s expected from followers of Christ. I know it’s hard. I know I don’t always live up to this standard, but there it is. 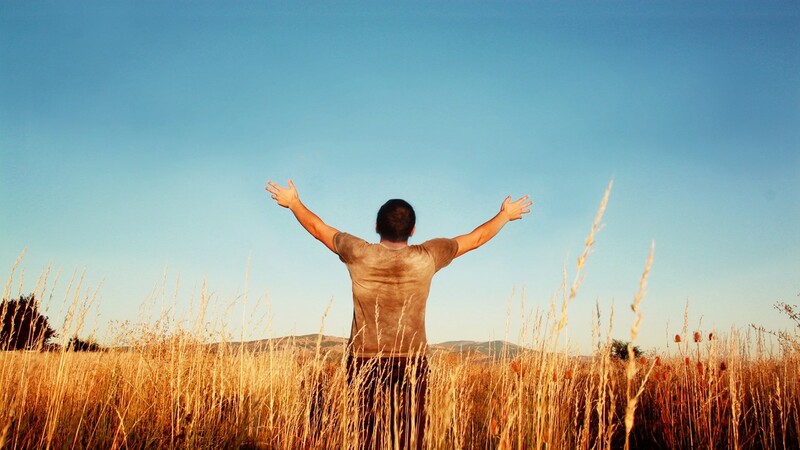 Even when facing false allegations, we are to be calm, trusting in the strength that comes from our Savior’s presence. Even when we are persecuted, we are to see it as an opportunity not to escape but to witness to the power of God in Christ Jesus our Lord. The speech we’ve heard this morning can be divided into three parts. Paul first tells about his early life—his education and his zealous desire to defend the Jewish faith from those who are followers of Jesus. Paul insists that he did what the Jewish leaders are now doing to him. Then, in verse 12, Paul tells of his conversion. Jesus called him personally to help open the eyes of others, so that people might turn from darkness to light. Then Paul tells of his efforts at proclaiming the truth of Jesus Christ, whose death and resurrection was foretold by the prophets. Paul goes to great lengths to ground the Christian experience in the ongoing tradition that goes back through what we know as the Old Testament. At this point in his speech, Fetus, the Roman governor who’d invited Agrippa to hear this case, interrupts Paul. “You’re crazy,” he essentially says. “You’ve been hitting the books so much your brain is fried.” Remember, Fetus is an outsider. He’s not Jewish and doesn’t really understand this new territory to which he’s been assigned. Listening to Paul with his Roman worldview, it’s not surprising that Festus responds in this manner. Paul claims his sanity before Fetus, then turns to Agrippa. You must also remember that Agrippa is a part of the Herod line. While Roman, he’s also Jewish. Whereas Fetus wouldn’t know one prophet from the next, Agrippa has a good understanding of the Jewish Scriptures. Paul’s response to Agrippa is classic. Yes, that’s his intention, to lead Agrippa to Christ. 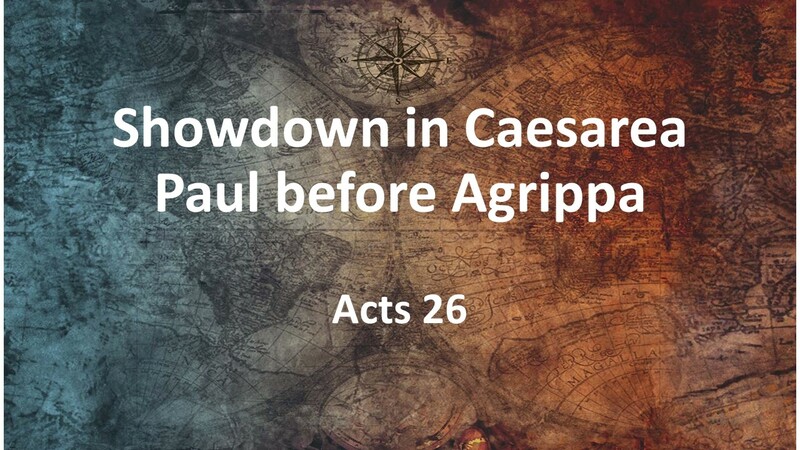 Paul is praying that God will open up Agrippa’s and everyone’s eyes. He wants Agrippa to become, like Paul, a believer. At this point, the meeting breaks up as Agrippa leaves the proceedings. Perhaps his conscience is pricked, and he wants to get out of the room before he has to make a decision concerning Jesus. 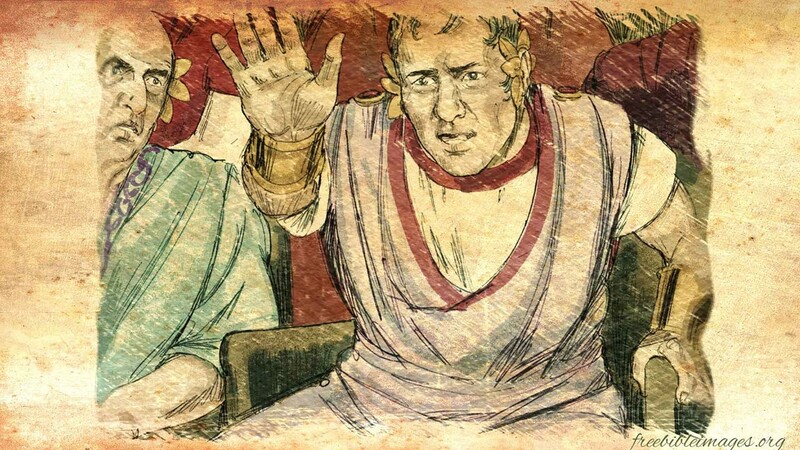 As Agrippa departs, he acknowledges Paul’s innocence. In his eyes, Paul has done nothing to deserve death. He also indicates that if Paul had not appealed his case to Rome, he could have been set free. It appears this appeal now works against Paul, for he is to be taken to Roman as a prisoner. The stage is set for Paul to make his last great journey. 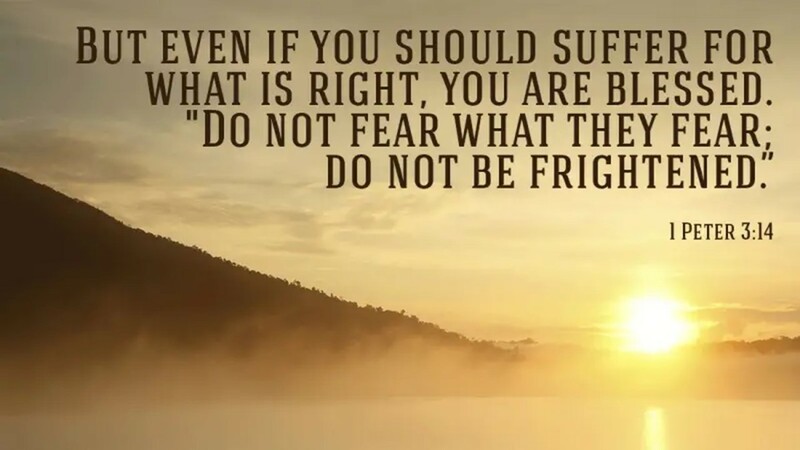 What is it that we should learn from this passage? How should we apply what happen to Paul to our lives? Like Paul, as followers of Jesus, we’re to desire the best for everyone, including our enemies, including those who judge us, and including those who accuse us. In the face of troubles, we are to place our hope, not in our abilities to argue or to attack, but in Savior Jesus Christ. As I’ve suggested, our society has become more apathetic about the faith. In other societies, there is even opposition. We just seen the release of Andrew Brunson, a long held Christian pastor in Turkey. Even more troubling is the Death Penalty sentence for blasphemy against the Koran handed out to a Christian woman in Pakistan. It’s been appealed to that’s country Supreme Court, but one shouldn’t have to suffer in such a manner as has this woman. There are Christian farmers in Nigeria whose villages are being wiped out. There are churches being closed in China. We need to keep our brothers and sisters around the world in our prayers and hope that when they are persecuted that can, like Paul, display their trust in Jesus Christ. Hopefully, none of us will face such persecution, but how we live and respond to the world demonstrates our allegiance. Paul put his Savior before everything else, including himself. While there were no converts made on this day, Paul wasn’t being judged by worldly standards. His respectful approach to Agrippa displayed his confidence in his Savior. Paul was being judged by Kingdom values. 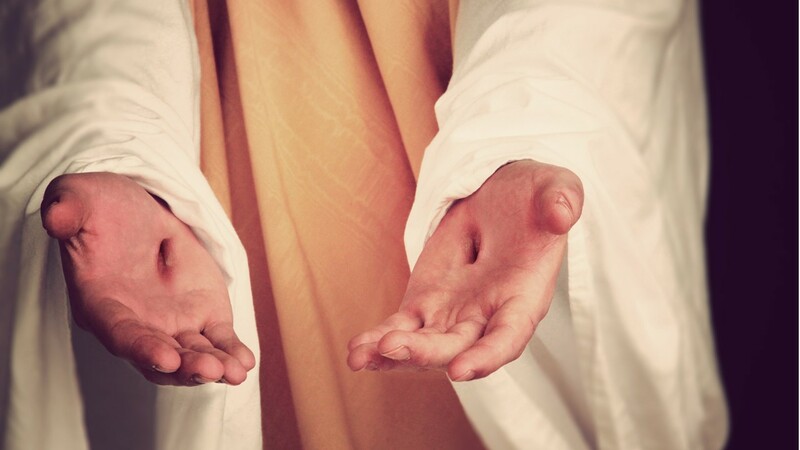 He remained faithful to Jesus Christ? Will we? Will we place our trust in Jesus even on those bad days when nothing seems to go our way? Amen. Beverly Roberts Gaventa, Acts (Nashville: Abingdon, 2003), 348. It could be said the descent of the Holy Spirit at Pentecost gave them the strength. 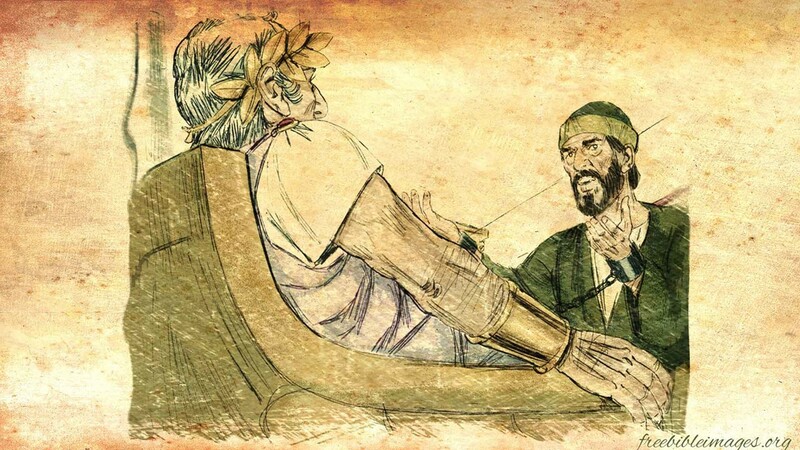 I find it interesting your connecting the 1st century political structures and today. For in truth I don’t think you are so far out. Back then Rome was in internal competition and it had just gone through a vicious civil war where the losers were dispossessed. And at the time of the Acts was incredibly unstable. Indeed it wasn’t until Trajan it might be argued things settled. I tend to think it’s an error to split the Christian from the Jew for the first 100 years anyway. We are viewing things from our eyes and to a large extent through the eyes of those that came later. But we should be viewing things from Roman eyes of that time. What were they seeing. Vince, I am curious as to why you split the church and synagogue after 100? I has always seemed to me that after 66 AD they tended to go different ways. Of course, we don’t have a lot of good records to go on from back then. Alice Hoffman’s historical novel, “The Dovekeepers” depicts a variety of different groups and sects after the fall of the Jewish rebellion. Have you read it? Of course, it’s a novel and is based on her ideas about what might have happened.